Heavy duty molded base. Brass clips and contacts with common bus bar. Use SFE 20A or 3AG series fuse. 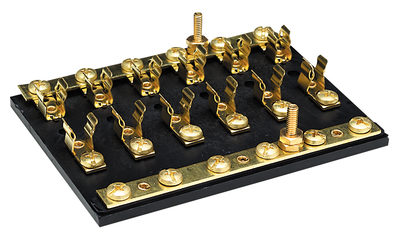 Each bus bar has one #8-32 x 3/4" stud with two hex nuts.